Regardless of your political affiliation, here in the U.S. and worldwide we’ve been through the wringer and come out changed. We’re all going through a lot right now. There’s much to process, contemplate, and recover from. In the midst of all this, the important thing is to remember who we are. That we each have a purpose to fulfill. If you’re hanging out with me in this little corner of the Universe, you’re called to write. To create with words, pen on page, fingers on keyboard. A tremendous gift, writing is. It has the power to open minds and hearts. To shine lights into the recesses of our humanity and unearth hidden gems and wounds. To heal, inspire, strengthen, catalyze, and change. To heal us individually as writers. And even though it may be tempting to turn away from your writing right now, please don’t. If not for others, for yourself. Because writing will remind you who you are, and what you were put here to do. When my mother in law died in 2015, I clung to my writing as if it would save my life. It was my constant in a sea of pain and turmoil. If you find yourself in that place now, as I do, let writing be the raft that carries you to shore. I know that not everyone is hurting right now. It is likely that some among us are happy with this week’s outcomes. And that is your right. But let us keep the focus on the larger vision. Our writing. Our truths. The messages we each have to share with the world. Because that’s why we’re here. Are You Waiting for Permission to Write? In the teleclass I taught last week: “Called to Write: Align Your Daily Actions with Your Soul’s Deeper Purpose“, something that resonated for my lovely group of attendees was the idea of no longer waiting for permission to write. I waited for years to start writing fiction. Inside, I felt like I had to get some kind of stamp of approval before I was “allowed” to write. That I needed an expert or agent or mentor or master writer to see my potential and encourage me to pursue writing. That otherwise I was chasing a fool’s dream or breaking the rules somehow. I think many writers or want-to-be-writers do this. It’s tied to perfectionism. A belief that we have to be “good enough” before we start. That there’s a qualification level we have to reach before we even begin. But how can we learn how to do anything, until we actually start doing it? One of my mentors, Hal Croasmun of ScreenwritingU.com, talks about how he makes a point, every two years, to learn a new skill, so that he always remembers what it’s like to be a beginner. This helps him develop the programs he runs for new writers because he can put himself in our shoes. I’m willing to bet he doesn’t wait for permission to learn karate or poker or horseback riding. I’m betting he picks something that interests him, and goes for it. Why can’t we do the same with writing? Perfectionism, again. This has to do, in part, with the black and white nature of writing in this digital age. Back when I wrote drafts on paper, I didn’t hesitate to scratch things out. I knew I was writing a first draft. (I can even recall telling my father that I didn’t think I could ever write without real paper! How times have changed…) There’s something about seeing our words looking so final that makes them seem like they should be final draft, publication quality. Which is entirely unfair to our early stream-of-consciousness drafts. Underneath the perfectionism is also fear, the lurking originator of perfectionism and other writerly issues, which tells us to play it safe and protect ourselves from potential failure, ridicule, and rejection. It’s a powerful force that works against us and our writing. But again, how can we learn, grow, and develop ourselves as writers without actually doing the work? We have to change our mindsets from a fixed mindset to a growth mindset. And we have to stop waiting for permission — for some kind of pre-approval that will guarantee our success — otherwise, we are really just kidding ourselves. You do not have to wait for ANYONE to validate you or tell you that you are good enough or deserving enough or talented enough to write. No one has to “see” or recognize your writing as “good enough” before you can write. There’s no outside evaluation or assessment of “potential” needed or required. You are a writer because you are CALLED TO WRITE. You know you are called to write because you have been persistently nudged, cajoled, and pestered by your deeper, higher, wiser self to write. That means, by definition, you have been invited by the Universe to write. And therefore, you have all the permission you need, right now. Ready to fulfill your calling as a writer? 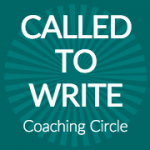 Join the January 4th session of the Called to Write Coaching Circle and start getting your words out in the world where they belong. Find out more and register here: http://JustDoTheWriting.com. Save $30 on your first session with coupon code NEWYEARWRITE and lock in our 2015 rates as long as you keep your membership active. I believe that each of us has something that we were put here to do, and when we find what it is, we must do it with all our hearts. And… it isn’t always easy to get clear on what our calling is. The noisy, busy world we live in and the noisy, busy minds we are encouraged to cultivate by the mainstream makes it hard to hear ourselves and the deeper whispers of our souls. And that’s often how a calling comes through, as a whisper. 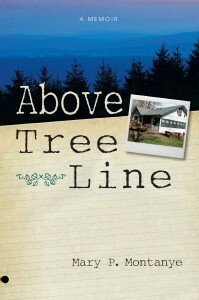 It took me a number of years to come around to realizing that my deepest call is to write. I spent my 20s and 30s sorting myself out in that regard, changing careers, soul-searching, and more (like helping other people get clear on their life callings! ), only to come back to the insight that my 6th grade self already had hit upon: I want to write. If you’re here, reading a website named “Called to Write”, I’m going to assume that you also feel that call. That you have the inner compunction to put words to the page in some form. You may or may not be doing it yet, or maybe not yet quite the way you want to be doing it, but I’m guessing that one way or the other, you’ve been feeling the call to write for some time. When I conducted a survey a little while ago, 71% of you said that you felt called to write without a doubt. That’s huge. And fantastic! And, interestingly, 71% of you also said that you struggle with procrastination. The very thing we feel called to do is the very thing we tend to avoid. The bigger the dream, the more we fear and avoid it. The good news is that it’s not as hard as it feels to help yourself write the way you want to. You just need to understand what’s really going on behind the calling, behind the resistance, and along the life journey we’re making as writers so that you can start to match up what you’re doing on a daily basis with your deeper calling. I’m leading a free teleclass next week to help you do just that. It’s titled: “Called to Write: How to Align Your Daily Actions with Your Soul’s Deeper Purpose”. Symptoms you may be experiencing if you’re not living your calling — and what to do about them. Mistakes you may be making that might be stopping you from pursuing your calling. How to know you are called to write — no more second guessing what you were put here to do. Things you think may be signs you shouldn’t write but are not accurate — and you should ignore! Surprising facts about how you can fulfill your calling to write more easily than you expect. The mythic journey you must complete in order to fulfill your calling. Action steps to align your daily actions with your soul’s deeper calling. I’m working on prepping a class called “Called to Write: How to Align Your Daily Actions with Your Soul’s Deeper Purpose” and I’d love to have your input. If you can spare a few minutes of your time to fill out a short survey, I would be grateful! Everyone who participates will be entered into a random drawing to win a print copy of The War of Art or Turning Pro, two of my favorite books by Steven Pressfield. Multiple copies are available, courtesy of the lovely Callie Oettinger at Black Irish Books, so there will be multiple winners! The drawing will be held on Wednesday, August 26th and winners will be announced then. You can enter the drawing and participate in the survey by clicking here. I spoke with a sister writer yesterday and we talked about the many, many challenges we face when it comes to completing projects, let alone getting them out there into the world. As moms and working women, we said, there’s always so much that has to be done, so many dishes to wash, noses to wipe, and deadlines to meet. Then if you start factoring in other people’s needs and wants (especially when you put them first) it’s all too easy to let your precious soul’s work slip to the bottom of the pile. If you’re like most people, you’re probably going through the day thinking that you’ll get to it later — whatever your “it” is, that creative work you’re endlessly postponing for another day, whether it’s writing or painting or drawing or finally getting the word out about your work — but that later never comes. Or maybe you’ve promised yourself that you’ll work at the end of the day, but quite frankly, you’re exhausted. The trap is that you’re aiming to clear the decks first, thinking your brain will finally have the space it needs for the creative work. You figure you’ve got to get to Inbox Zero or handle all those administrative tasks or answer so-and-so’s Very Important Message first. Then you’ll be able to focus. Those things are like tribbles from Star Trek. They multiply at an exponential rate of growth, and if you persist in putting them first? They will literally devour your time. And right now, you are letting them do that. Let’s face it. Life happens. Life can be busy. It doesn’t have to be, but it often is, in this culture, in this era. There will always be more email. And we get to choose how we respond to that stuff, or not. Do you want to organize your life around it? Or do you want to organize your life around what is most sacred to you? For me, that is my writing and my family, period. So guess how I spend my mornings? I wake up, and I snuggle with my son. When we feel ready, he goes to play with his dad and have breakfast while I write for 30 minutes. It’s not a huge amount of time, true, but I do it 6 days a week. I’ve also corralled my business, for the most part, into regular, day time hours. Rarely does it spill over into the night or onto the weekends. Why? So I can be with my family in the evenings and focus on my son. Doesn’t mean my life isn’t hectic. Doesn’t mean there aren’t still things I want to change. But I’m working on them incrementally, moving them to the place I want them to be. Just like a writing project, bit by bit. The key to all this comes from a few simple notions. 1. Your creative work is what you were put here to do and is therefore of the utmost importance to you, your life, and your soul’s fulfillment (and even as a role model for your kids). 3. Then you must protect that sacred work time — I call mine my sacred writing time — like your life depends on it. It does. I’d love to hear from you. How do you protect your creative or writing time? ~> March 21st: Register for the next Writer’s Circle session. Register by March 21st for the next session of my Writer’s Circle (starts March 25th). Build a solid habit of daily writing and finish all your writing projects: http://JustDoTheWriting.com. We’re running four groups of fantastic writers right now and it’s a ton of fun. Come join us! ~> Reading How to Speak Dragonese* with my son. Reading Crucible of Gold* by Naomi Novik and Adventures in the Screen Trade* by William Goldman. If you know you are meant to be in front of an audience, sharing your creative work, but you’re dragging your feet about it, I want to remind you of something. Your call to the spotlight is not optional. It’s not going to work if you do it halfway, like never quite finishing the book and getting it published, designing the talks but never delivering them, or writing the blog posts but never pressing the publish button. Here’s why: Your soul won’t let you get away with it. I see the tug of war over being seen publicly as a battle between your soul’s deeper knowing and your inner critic’s limiting beliefs. The cost of listening to your inner critic, the one that says it isn’t safe, that you’ll make a fool of yourself, that people won’t like what you say, or that you have nothing new to say, is that your soul will be unfulfilled. To be more specific, your level of happiness, satisfaction, and sense of fulfillment in your life is directly connected to the degree to which you are doing what you were put here to do. So if you have a call to the spotlight (or to anything, for that matter) — regardless of how much you dread it — you’re not going to feel complete until you do it. I can tell you truly that I have never been happier than I am now with all the writing and speaking I’m doing. I can also tell you that I have never been more scared. But despite the fear, it feels right, and that’s how I know I’m on the right track. What calling are you avoiding or not embracing as much as you truly know you want to? Want help expanding your comfort zone around being seen by an audience? Join my small, healing-focused group designed to help you feel ready to share your gifts with the world. 1 spot left. ~> May 1st to June 5th. My new Spotlight Study Group for sensitives, artists and hermit types who are ready to take their call to the spotlight more seriously and clear up the obstacles getting in their way. One spot left. Details. ~> May 10th. Last day to register for the next 4-week session of my “Just Do The Writing” Accountability Circle. This is for writers who want help staying on track and consistent about doing their writing, day in and day out. Details. ~> Ongoing. Writing in the ProSeries class at ScreenwritingU. Now we’re working on our query letters so we can start promoting our scripts. ~> June 12th to 15th. Heading to Hollywood for a ScreenwritingU event to meet with producers and agents. Can’t wait! ~> Sacred writing time. Early mornings and Fridays. ~> Still reading Harry Potter and the Goblet of Fire with my boy. I’ve been keeping up with Castle and Once Upon a Time while I’m waiting for Downton Abbey to be available again. Oh, and waiting with baited breath for Avengers Assemble. Can’t wait to see Joss Whedon working his magic with superheros! Yesterday was a tough one. It was a dark, drizzly day after a bad night of sleep, followed by a bit of bad news. And it was on the heels of a wicked cold that had me laid up Wednesday through Sunday. Not a good cocktail for a sensitive soul with work to be done. Needless to say, I came home after dropping off my son to feeling rather adrift. I didn’t know what I wanted to work on. None of the many items on my idea list or to do list was the least bit appealing. Even though I had come up with some nifty ideas on the way home in the car, when I sat down at my desk and confronted my computer screen, a strong feeling of despondency — and resistance — came up. I didn’t want to do anything. I checked in with my heart. I checked in with my spirit. So I did. I got out my latest set of assignments, turned on my timer, and dug in. An hour later, I felt like myself again. I even went on to have a happy, productive day working with my clients and revamping my website (you can see the evidence on my Shop and Home pages). By doing my work, by turning to my calling rather than away from it, I found myself. When you’ve fallen off the wagon of clarity and productivity, how do you find your way back to taking action? And by the way, I’m not intending to say that action is the only solution here. There are times when for me the right “action” is clearly nothing work-related, like rest, reflection, exercise, or taking a break. But I think I’m talking about something different here — that Thing that happens when you know getting back on path is just what’s called for but it’s feeling elusive. I’d love to hear what works for you. ~> Ongoing. My Protection & Grounding Jewelry is on close-out. Only TWO necklaces are left, and then they are gone for good. Find them here. ~> February 2, 2012. Start the new year fresh with your life purpose clear in your mind. My next life purpose breakthrough group session in on February 2. Details. SOLD OUT. ~> February 20th, 2012. The next session of my Writer’s Circle starts. Sign up here. Get my Free Writing Tips series too, and receive a coupon for a savings on your first 4 week session. ~> Ongoing. Writing in the ProSeries class at ScreenwritingU, which was just named the #1 screenwriting class by InkTip. ~> Daily and especially Fridays. Sacred writing time. The Do Not Disturb sign is up. ~> Now onto Castle, Season 4. So good! If you missed my powerful call with Isabel Parlett today called, “How to Say What You Do, and Why It’s Key to Doing Your Calling,” you can still listen to the recording (see below). 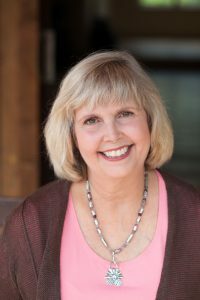 Isabel and I had a wonderful, rich conversation and she did some terrific laser coaching with several people on the call to help them refine their “elevator speeches” to have more soul. You know about elevator speeches, right? Isabel is a master at helping you bring your true spirit and depth to what you say you do, so YOU feel good about sharing it when people ask. How find words that don’t feel stilted or sound like what everybody else is saying. Whether or not to modify your elevator speech depending on who you’re speaking with. How to make your words sound more conversational and less rehearsed. How to speak to who your audience is and what they want AND infuse your words with your deeper true spirit. And much more — we had a great time sharing about our time working together and the value I’ve received from it. 1. Her free video series available through Tuesday, which goes in a bit more depth with some of the information I shared on the call. You can access the free videos here. 2. Her brand-new home study program, “How to Say What You Do When What You Do Is Deep, Powerful & Hard to Describe.” She is offering some great bonuses and incentives (including $100 off the retail price) for anyone who picks up the program by the end of the day Tuesday (she’s extended the deadline mentioned on the call by one day.) Learn more here. Without the right words, it’s hard to make “the big thing you’re here to do” come to life. It’s hard to hold on to your own focus and clarity, and it’s even harder to communicate what you’re doing in a way that lets other people in on the fun. I first worked with Isabel in 2004, when I found myself struggling to describe my own deep, powerful, and hard-to-describe work. Isabel’s help was instrumental in helping me get my coaching business “on the map.” Since then, I continue to consult with Isabel when it comes to matters of communication as my work continues to evolve. Isabel has a gift for showing business owners, especially those whose work is intangible, transformative, or unusual, how to find clear, simple, soulful language to clarify their core message, communicate their value, and create an elevator speech their audience will actually understand. Isabel is one of my all-time favorite and best coaches and mentors — I’m thrilled to have the chance to share her with you.